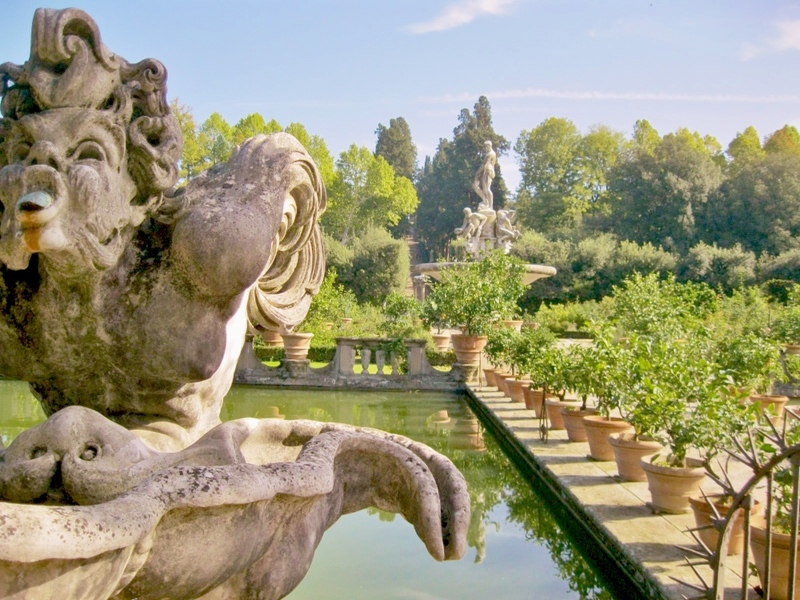 The Boboli Gardens is one of the most beautiful gardens in Florence city center; it’s an open-air museum with antique statues, grottoes and fountains. The Medici family was the first to curate this green area, transforming it into a design garden that became the model for Italian-style gardens for European kings and noble families. It’s the garden of Palazzo Pitti, that was the official residence of Cosimo I and his wife Eleonora di Toledo. It was thanks to Eleonora if this garden was turned into a marvelous place. Tribolo was the architect that designed and realized the Renaissance garden. Inside the oldest area of the garden there is the Grotta Grande, one of the finest example of Mannerist architecture and culture, built by Bernando Buontalenti (1583-1593). Tribolo built the large Amphitheater that rises the hill, but the architecture we see today was implemented in 1618 by Giulio Parigi. The Egyptian obelisk comes from Ammon’s Temple in Luxor and was placed there at the end of XVII century; the gray marble tub comes from Caracalla Thermal baths in Rome. When the Lorena family took over the Gran duchy and the Palace, they commissioned new buildings: the Limonaia was built in 1775 to host the precious collection of citrus trees. Between 1765 and 1790 Pietro Leopoldo di Lorena, restored the gardens and re-organized some parts: Meridiana building and Kaffeehaus date back to that period. Pietro Leopoldo opened the gardens to the public for the first time ever. In 1834 there were created large avenues for coaches and 16 mazes were destroyed, together with some straight alleys. Since then the Boboli Gardens are almost the same. 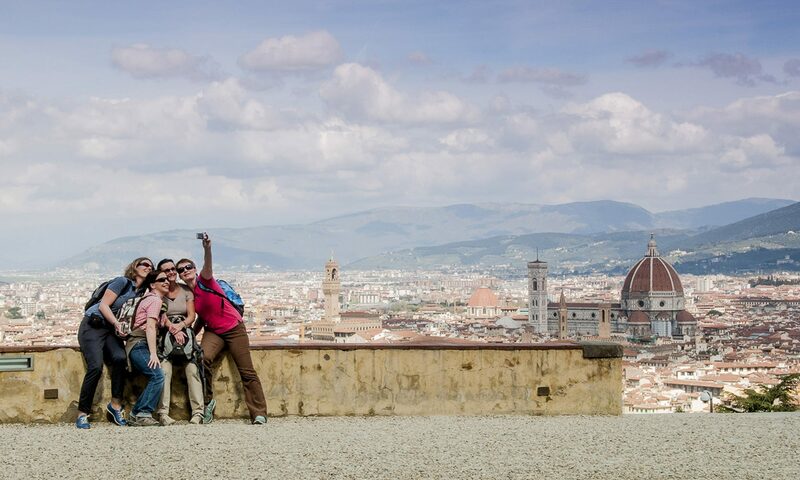 Visit the Boboli Gardens with us on a private tour of Florence!